Apparently the CFO of Huawei – the tech company no one can pronounce – is really into tech from other companies. Meng Wanzhou was arrested on charges relating to breaches of Iranian sanctions on December 1 last year by Canadian police, at the behest of American authorities which are investigating Huawei under a series of accusations involving competitors and foreign espionage. 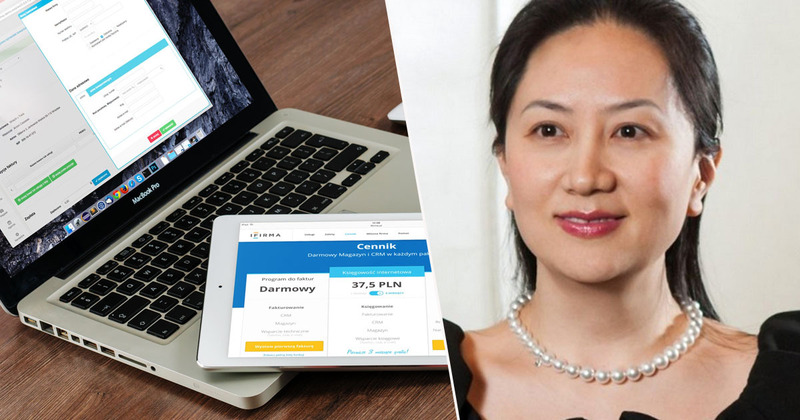 The latest blunder for the company comes from the daughter of Huawei founder, Ren Zhengfei, herself. When Meng was arrested, her belongings were seized and revealed in a court filing on Friday 22 March. She had on her an iPhone 7 Plus, a MacBook Air and an iPad Pro, reports Bloomberg. Meng was carrying one product made by Huawei – a Huawei Mate 20 RS smartphone featuring a Porsche design. She also had a ScanDisk flash drive and a couple of SIM cards. The tech giant she sits at the helm of, in case you missed it, makes smartphones, tablets, and laptops which compete directly with Apple products. America has recently called for Europe to follow in their footsteps and prohibit Huawei 5G equipment, after claiming the company might collect intelligence for Chinese centres in Beijing. Huawei has repeatedly and strenuously denied all allegations of espionage and no evidence of backdoors for spies – intentional or otherwise – has been demonstrated. The company, however, has recently been accused of targeting Apple trade secrets and of punishing staff for publicly using Apple devices. The company was also caught passing off photos taken with a DSLR as images from its P9 smartphone camera. So, maybe Meng Wanzhou’s use of Apple products was just ‘research’. Meanwhile, a lot of people obviously want to see what’s on those devices seized in December. So, her defence lawyers filed an application seeking a copy of the data stored on the equipment, and for those devices to be subsequently sealed. The crown prosecution consented and the devices will be transferred ‘to the British Columbia Supreme Court Registry pending an assessment of solicitor-client privilege,’ Canada’s justice department said in an email to Bloomberg.